Trench coat Version 2.0! 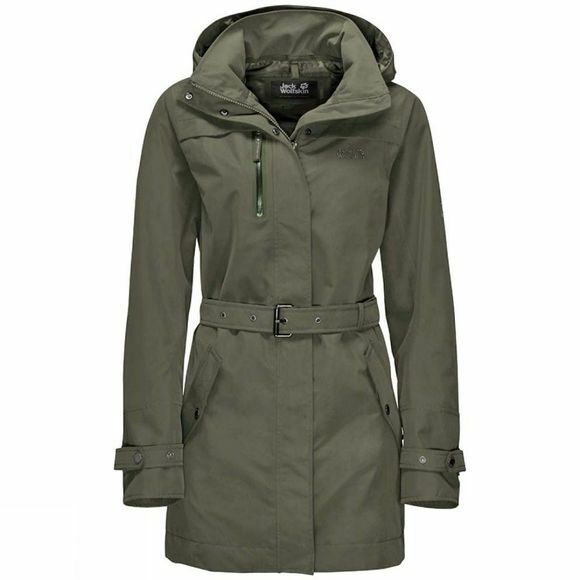 The Womens Kimberley Coat is our reworked and rebooted waterproof version of the classic short coat. This coat is our top tip for trips to rainy cities. What is particularly pleasant about the Texapore Twillsuede weatherproof fabric is its velvety feel. We have also tweaked the look slightly. Instead of buttons, we have added a zip, and topped it off with a hood. The belt allows you to trim the silhouette of the Womens Kimberley Coat to create the style you prefer.